If you’re reading this, you probably either have student loan debt or you’re about to incur student loan debt. With student loan debt balances on the rise, your best bet is to pay off your student loan debt as quickly as possible, or better yet, stop the debt from piling up by taking the preventative measures. Many graduates have to put their life on hold because of common student loan mistakes. Avoid making these mistakes and get rid of your student loans in 3 easy steps! According to USA Today, up to 68% of college graduates enter the workforce with student loan debt. The Institute For College Access and Success reported that students graduate with $18,000 to $37,000 in student loan debt in the last year. To minimize the impact, follow these 3 simple steps to avoid unnecessary debt from accumulating. Find out how much tuition will cost, and also estimate all the other costs, such as textbooks, materials, living expenses, and additional costs if you are living on campus. Out of your top college choices, closely look at cost, lifestyle, and career opportunities. Weigh the pros and cons of each college before making your selection. If you’re trying to narrow down your choices for which college to attend, look at your top choices, and rank them by tuition. Also do some research to find out whether classes fill up quickly, and what alternatives are available. The last thing you want is to prolong graduation and deal with half full semesters because your required courses are not available, and there are no alternatives. Regardless of whether or not you got accepted into your dream college, you can also start out at a community college and then transfer to your dream college. A couple of years at a community college will help you get your grades up and increase your chances of getting a good scholarship or grant. As a bonus, this option will save you two years of high cost college tuition right there. 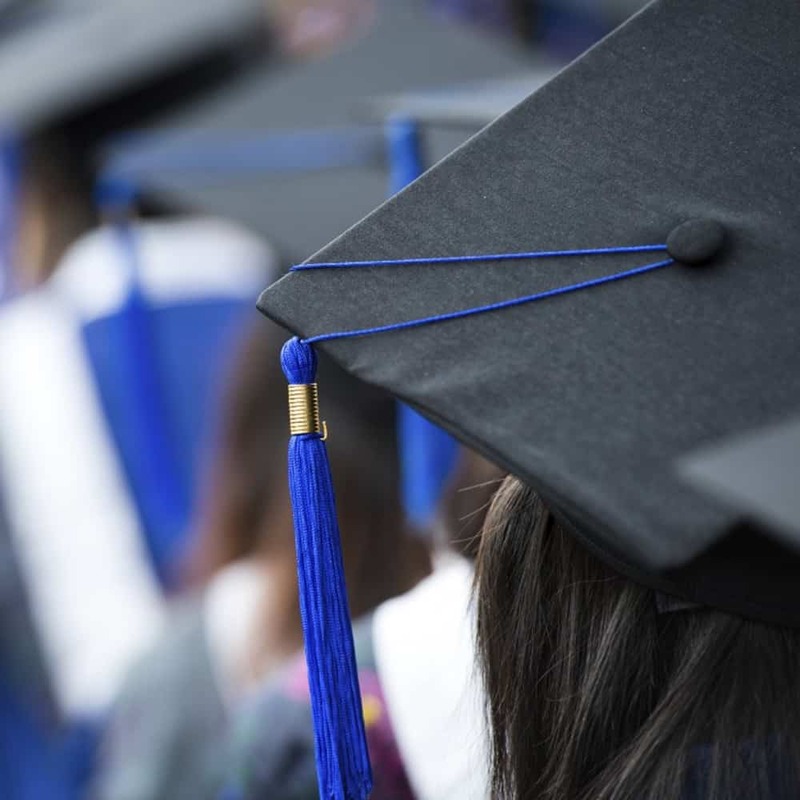 If you’re still not sure about whether you can realistically pay off your student loan upon graduation, a good rule of thumb is that the loan balance should not exceed your expected starting salary. Before you get overwhelmed about the cost of tuition, research all the grants and scholarships available from your top college choices. Find out how much you need with and without grants and scholarships. Next, explore your options for financial aid. Before you turn to student loans, make sure you know all of your options for grants and scholarships. Fill out your Free Application for Federal Student Aid (FAFSA) and start looking for scholarships and grants right away. Finally, figure out how much you would need to close the gap, and whether having a job would have an impact. A job at the college coffee shop might save you a few thousand dollars, but it could also adversely impact your grades. If you prefer not to work while in college, start planning your career so that you can have a cushy job that supports you once you graduate. Private loans should be your last resort for closing the tuition gap. A word of caution about student loans: know what you’re getting into before you take out student loans. You’ve read horror stories about people not being able to afford everyday expenses as their student loan piles up. Know what you’re getting into when you borrow money for school. First, make use of federal student loans, and then look at private loans as a last resort. Remember, private loans usually don’t offer the same benefits as federal student loans, such as deferment, forbearance or forgiveness. Figure out your graduation requirements and determine whether tuition is calculated by semester/quarter or by unit. If tuition is calculated by semester/quarter, you can graduate fast with the right planning and discipline. Take summer classes and transferrable units at a local community college to cut back on costs and also make up for issues with course availability. For example, some colleges will permit students to take language classes that easily fill up at community colleges. That way, you are making the most of your time, and also saving money, especially if your school charges tuition per unit. You want to enjoy the college experience, but you don’t want to go broke in the process. For nights out, find places where you can get good deals on food and drinks to cut back on expenses while dining out. While you’re in school, cut back on your living expenses by either living at home or renting an apartment off campus rather than living on campus. Decide how to plan your meals and live well ahead of time. Put away money while you’re in school, whether it comes from a job or financial aid. To get started, create a realistic budget. List all of your income, including financial aid, income from jobs, or contributions from your parents. Next, list out your expenses, starting with necessities such as tuition and fees, books, rent or room and board, groceries, utilities personal items, transportation, and health insurance. Include all minimum payments for credit cards and debt in your budget. Use most of the money leftover to pay down your student loan. If you have a negative number, you will have to redo your budget so that your income covers all of your expenses. Your budget should plan for emergencies, car maintenance (if you have a car), and larger expenses such as a new laptop or a vacation. If you’re already out of school, figure out how much you need to pay off, and then create a budget. Calculate your income and expenses, and see how much you have leftover. Include the minimum payment in your budget. Use most of the extra money to pay off your loan. Whether your income consists of student loans, help from your parents, or your salary, you need create good financial habits from the start. Begin by putting away at least 10% per month. Saving each month will help you create good financial habits that will benefit you in your adult life and beyond. If you’re really serious about getting your finances in order, Personal Capital will not only help you analyze your budget, it will also help you with your investments. Check out our review of Personal Capital if you’re still on the fence. If you’re able to pay tuition, pay it in installments to avoid losing money at all once. Even the set up fee or convenience fee will probably be far less than the interest rate for student loans. If you can get your hands on a paid internship, you can get credit for working while having some money to pay off student loan interest. If you’re still in school, a part-time job can be used to replace or reduce loans. Certain jobs can even cover your living expenses in addition to your salary. For example, a job as a resident assistant can help cover living costs, such as room and board. However, if you’re not careful, working while you’re in school could take up the time you need to study and live a balanced college life. If you’re out of school, look for opportunities that will further your goals. Look for jobs that provide student loan forgiveness or concessions that are in line with your profession. Certain professions will even pay off your student loans if you stay there long enough. If you are willing to put in a few years, this is a good choice. If you get a hefty tax refund, bonus, or pay raise, don’t spend it! Use the money to prepay your student loans, or pay them down if you’re already out of school. If you have smaller student loan balances, don’t fall into the trap of procrastination. If you prepay your student loans, you are more likely to pay off your student loans at a faster pace. Although you don’t have to pay student loan interest while you’re in school, you students with unsubsidized Stafford loans aren’t required to pay loan interest while they’re in school, there are potential savings if you pay interest. If you don’t pay down your student loans fast enough, you may have to consolidate your eligible student loans and make arrangements for the rest. Don’t put yourself in that position - start taking preventative measures now. Begin with the end in mind. 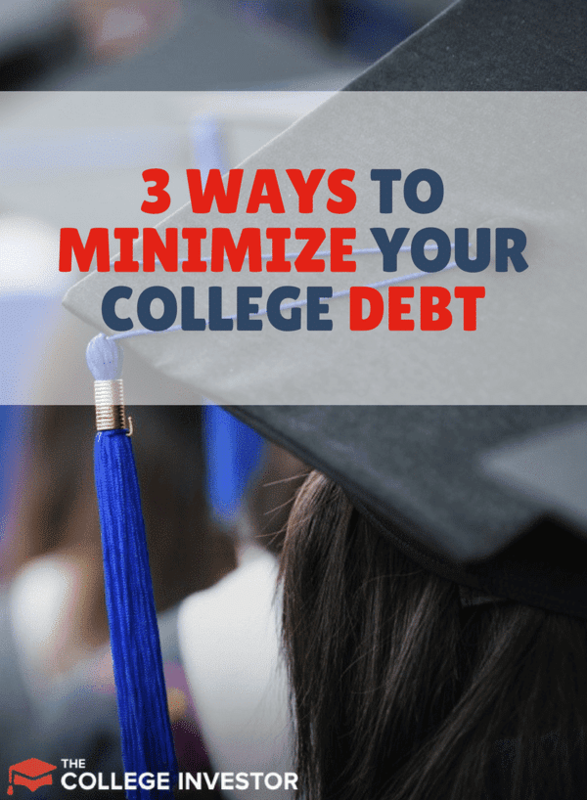 Decide on a college, estimate the costs, and find a way to graduate as quickly as possible, especially if your school tuition is calculated by semester or quarter rather than per unit. Explore all of your options for grants and scholarships, and then find out how much you need to close the gap. Explore financial aid and calculate how much you can earn if you get a job. Weigh the pros and cons, and you will have a plan. Also, check out our FREE 5-day course to get out of debt and start living your life. Have you used any of these tips to keep your student loan debt piling up while in school? If you’re a graduate, have you used any of these strategies to pay off your student loans? Tell us in the comments below!